The name of the American movie star Justin Long is familiar to fans of the comedy genre. After releasing to the eidophor screens of comedy movies such as Crossroads, The Break-Up and Waiting with the participation of Long, his appearance on the screen causes a smile. But Justin also has dramatic roles: in the actor's filmography - shooting in thrillers, romances, and horrors, where he is no less assertive. Justin Jacob Long is a native of Connecticut, U.S.A. Long was born on June 2, 1978 in Fairfield to father R. James Long, a philosophy and Latin professor at Fairfield University, and mother Wendy Lesniak, a former Broadway actress who has mostly appeared on stage. They raised their children in a "kind of conservative" Roman Catholic upbringing. Following established home traditions, the family went to the church mass every Saturday, abiding the canons of religion. Long attended Fairfield College Preparatory School, a Jesuit school, where he learned physics, mathematics, classical languages, and ancient history. Any of the school’s strict rules and family’s religious education could not define Justin's biography, but the fact that he was an artistic and cheerful person. Young Long was friendly and energetic, easily making new friends and lay at the heart of any company. Teachers soon noticed the boy’s acting talents and often offered him to play in school plays, trusting the leading roles. Despite the family’s discipline and religious customs, Long's parents did not mind that Justin would take drama classes, where he was sharpening his acting skills. To be honest, all children of the Longs were artistic. All of them became actors. Their mother as a professional always helped them with advice. Getting ahead, his younger brother Christian Long, not long ago appearing in a youth series, stated that the world would notice him soon. His older brother, Damian Long, is a Broadway local stage actor, teacher, and theatre director at Weston High School. But the middle son achieved enormous success. After graduating from high school, Long attended Vassar College, which was the best known for its sketch comedy group. At the first days of college, he became a member of the comedy group Laughingstock and starred in several plays. The troupe’s acting attracted the attention of American moviemakers. After seeing the play of Long, the audition director of MGM offered the young actor to shoot in Pepsi commercial. The work brought Justin a fee and acquaintance with the legendary Clint Eastwood. The actor had remembered about their little collaboration with admiration until the present day. Shooting at commercials, Justin Long did not stop performing at the group Laughingstock. However, in 1999, he appeared in comedy film Galaxy Quest directed by Dean Parisot. Almost the whole America watch this adorable TV series where starring Tim Allen and Sigourney Weaver. That’s why the appearance in this project, even as a minor role, brought success to Justin. Next year, the actor played Warren P. Cheswick on the NBC TV series Ed for all four years of that it was screened. At the same time, Long also shot in other movies and series. 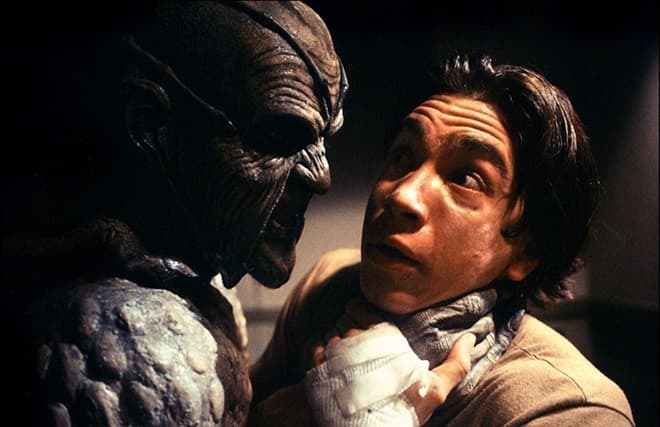 In 2001, Justin Long featured in an American-German horror movie Jeepers Creepers, which was premiered in Munich with film stars Justin Long, Gina Philips, and Jonathan Breck as leading roles. It was the first indispensable character Darius Jenner (Darry) for Justin. In 2002, the shooting of the sequel Jeepers Creepers 2 began, in which Justin appeared on the set with Ray Wise and Nicki Aycox. The premiere took place in the spring of 2003. Due to the working in horror film, the young actor received Saturn Award for Best Performance by a Younger Actor, turning Long into a rising star of Hollywood. His next appearance in comedy-drama road film Crossroads with Britney Spears as her on-screen boyfriend was a top-rated breakthrough for Justin. The actor was fortunate to get such a role that many men of the world dreamed about. Then, some of his notable comedy-drama movie credits are DodgeBall: A True Underdog Story, Waiting and Herbie: Fully Loaded. From 2006 to 2010, Justin Long was busy with independent movies and massive project of the "dream factory." Some of his successful films include The Break-Up, Live Free or Die Hard, Strange Wilderness, He's Just Not That into You and so on. Happy to take on a variety of roles, whether comedy or drama, his star continues to rise with four movies Drag Me to Hell, After.Life, Going the Distance and The Conspirator. His acting in these films let Long to occupy the star niche in American pixes firmly. 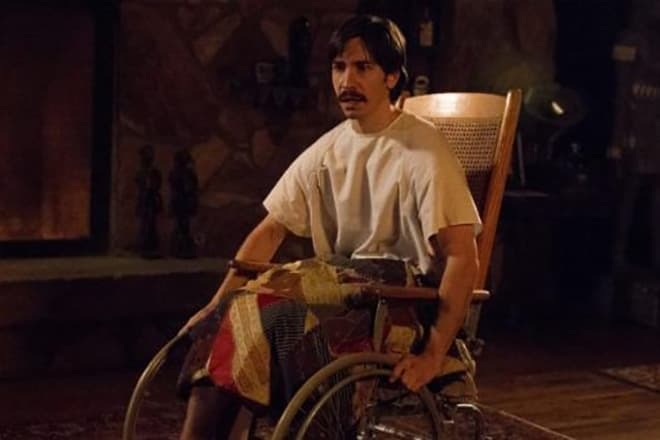 In spring 2013, parody film iSteve was released where Justin Long played a central role. 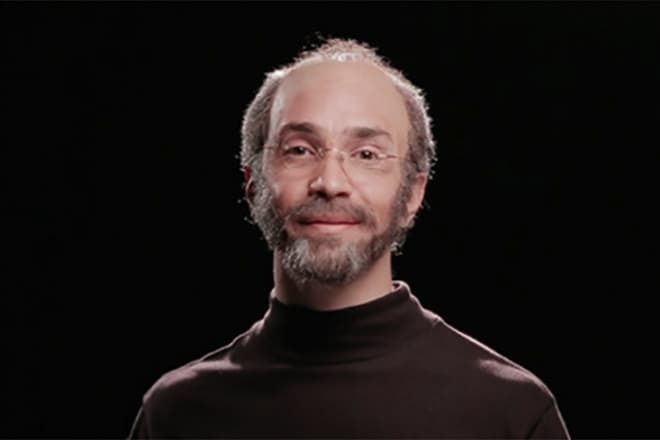 This full-length movie claimed to be the first biopic on the life of Steve Jobs, the pioneer of the microcomputer revolution and the founder of Apple company, after his death. Next year, the actor delighted his fans of the playing in comedy horror film Tusk directed by Kevin Smith. The film is the first in Smith's planned True North trilogy, followed by Yoga Hosers and Moose Jaws. The director Kevin Smith called his project the arthouse and body horror. Tusk, where cast as central roles Michael Parks and Justin Long, received positive reviews from the viewers. 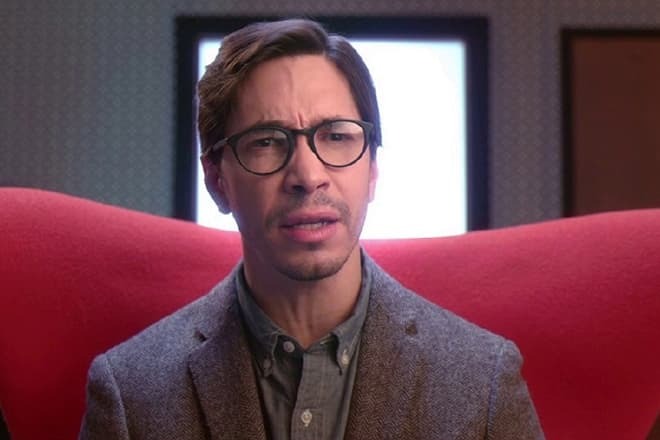 In 2015, the fans could see Justin Long in one episode of sketch comedy television series Portlandia. 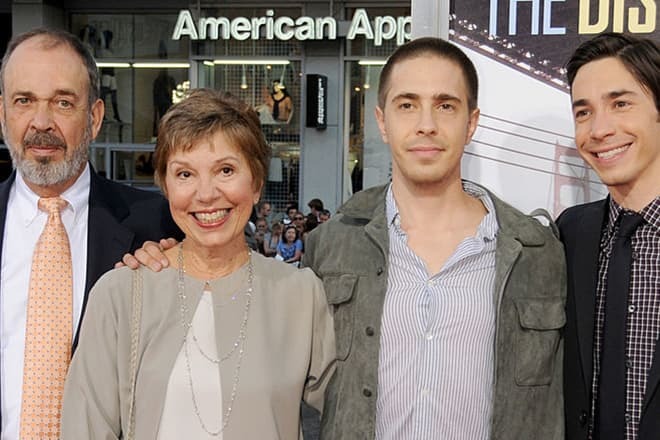 Justin Long can hardly be called a lady's man, but in his biography, there are a couple of affairs that are talked about. In 2010, while filming Going the Distance, he met Drew Barrymore: according to the script, they have a passionate romance. Rumor has it that the romantic relationship from the set flowed into real life and lasted a year. The reason for their separation of the stars is unknown. Soon Justin Long was rumored to be dating Kirsten Dunst. After a couple of months, friends of the actors confirmed that Justin and Kirsten's affair is real, but the couple avoided the straightforward answer to provocative questions about their personal lives and did not show off their connection. Together, the two stars looked great: the blond beauty Kirsten and handsome brunet Long with the growth of 1.74 m and the weight of 82 kilograms. Unfortunately, this relationship failed too. The couple was dating for two years, and their friends started to talk about the future marriage. However, the busy actors had different schedules and different lives and grew apart in recent months. In 2015, A Seyfried’s source revealed to journalists that the couple split upon an initiative of Amanda because of the disparities of their work schedules alienated lovers from each other. Now Justin Long is in a romantic relationship with his longtime Scottish musician girlfriend, Lauren Mayberry. Lauren is the lead singer of the Scottish synth-pop band CHVRCHES. The couple is together since 2016 and shares a healthy relationship. In summer 2016, horror comedy film Yoga Hosers of True North trilogy was released directed by Kevin Smith. The world premiere was in the middle of summer in the U.S.A. where Long played as Yogi Bayer. The film stars Johnny Depp as man-hunter Guy LaPointe alongside his daughter Lily-Rose Depp and Smith's daughter Harley Quinn Smith. The release of the third part of True North trilogy, Moose Jaws, planned to be at the end of 2017.